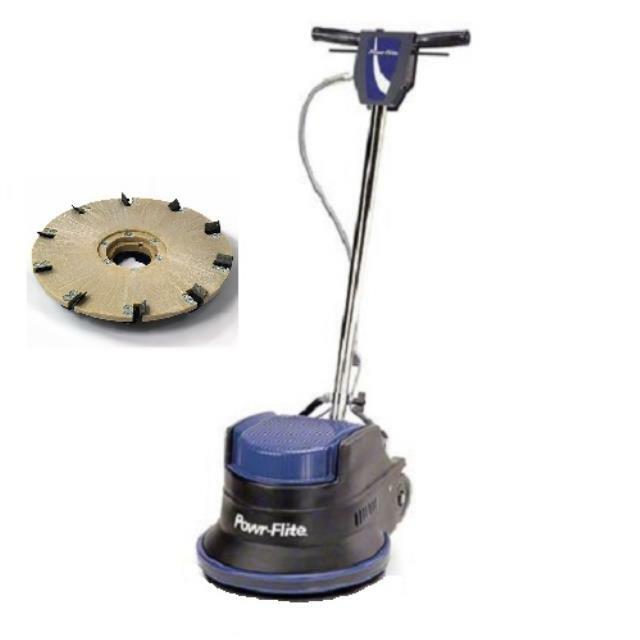 This kit includes the 17" floor machine and the diamabrush attachment. This diamabrush can remove mastic, glue, adhesive, and coatings. Works best when moved slowly, and when making several passes rather than attempting to clear all at once.